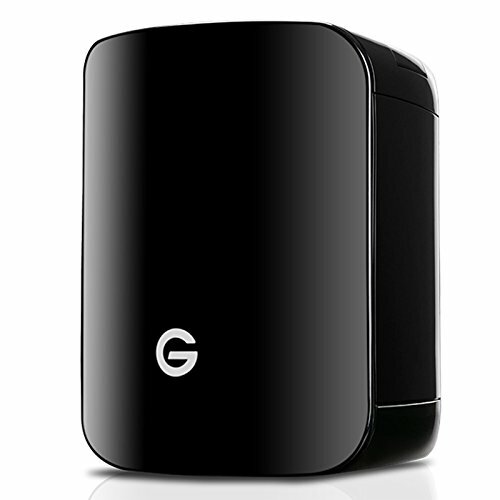 G-Techology G-SPEED Studio is a 4-Bay RAID Thunderbolt 2 storage solution. Configurable in RAID 0, 1, 5, 6 and 10, G-SPEED Studio features Thunderbolt 2 technology for ultimate speed. With sustained transfer rates of up to 700MB/sec and the ability to daisy-chain via dual Thunderbolt 2 ports, this RAID solution ships with Enterprise Class Hard Drives and is designed to support multistream compressed 4K and 2K workflows. G-Technology's roots run deep within the creative pro community, and we work closely with Intel and Apple, constantly evolving to better support professional workflows. That's why G-SPEED Studio also features a sleek black enclosure, smart fan technology and plug-and-play Mac setup. If you have any questions about this product by G-Technology, contact us by completing and submitting the form below. If you are looking for a specif part number, please include it with your message.